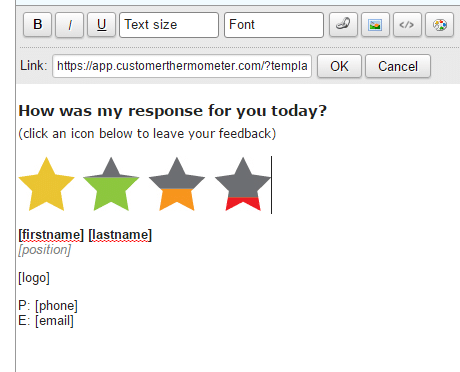 Note, the only way to use Customer Thermometer with Accelo is with user signatures. 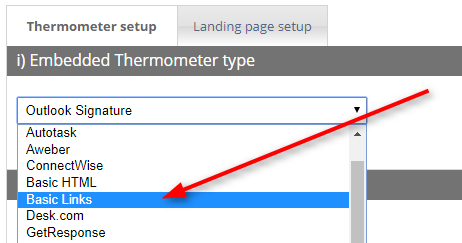 A Thermometer signature can can be setup and mandated for all users across your whole Accelo instance. 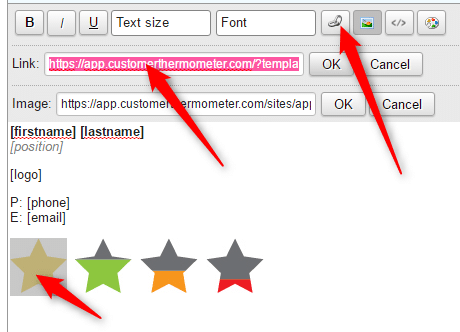 Choose “Basic Links” from the i) Embedded Thermometer type drop down box. Ensure you enable address capture on Landing pages. Enter your Accelo variables as shown below. 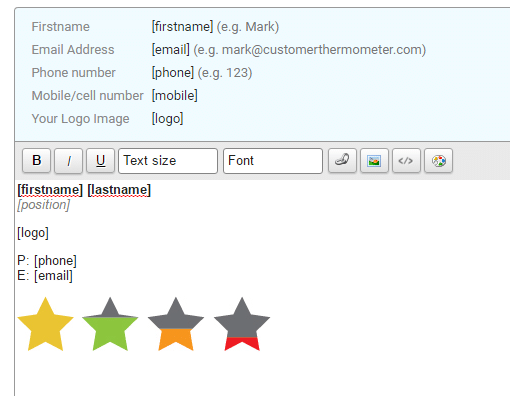 These variables will provide identifiable feedback and dictate which data is captured alongside Customer Thermometer rating. 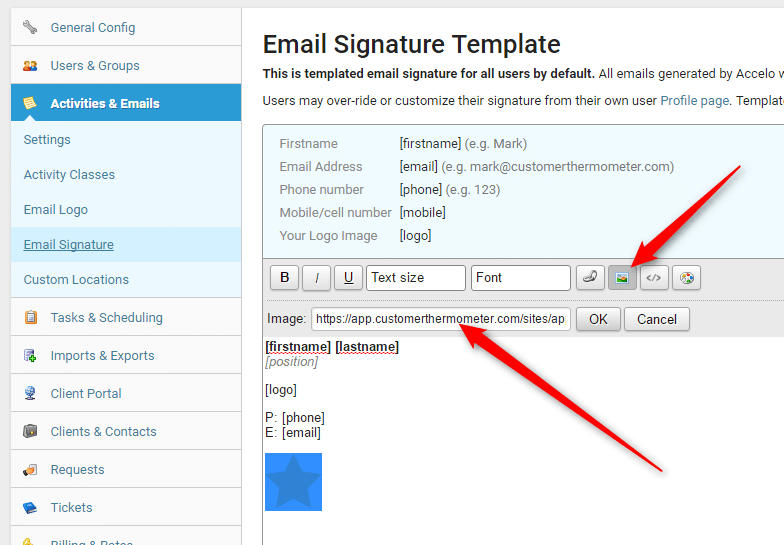 Within Accelo, navigate to the Email Signature Template area via the Configuration button on the main menu. This is where you set signatures for your whole instance. 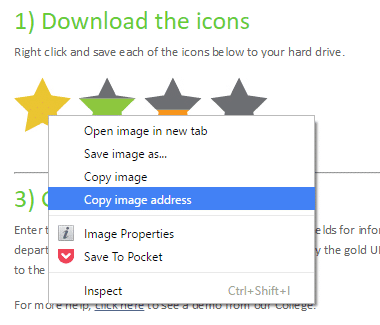 Place the cursor at the end of the signature, click on the insert image button and paste the URL of the image you’ve just copied. A Gold icon will then appear. Next, generate the links to add to each of those icons. This will mean that the Custom 1, 2 and 3 fields within your Customer Thermometer reporting will display the first name, surname and email address of the Accelo user alongside the results, which means you can associate responses and performance with each user. 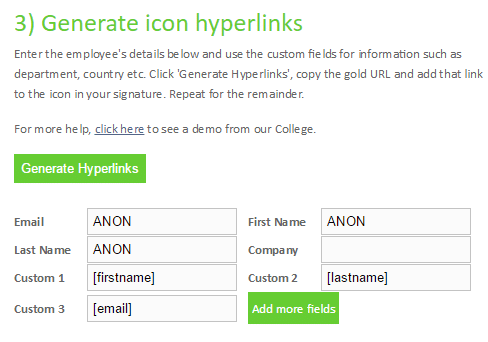 Select and then copy the Gold hyperlink URL which is displayed inside the Customer Thermometer popup. Head back to your Accelo signature and click on the Gold Star. Repeat for the remaining 3 links.